In this article I will take you through Michi’s race winning performance in his first race of the new season, which included a very strong field, and some extremely challenging conditions. Additionally, because I know it is of real interest to many of our age group athletes who follow us, I will also provide some insight into the pattern and load of Michi’s winter training following his early December break. I hope you find it of interest. 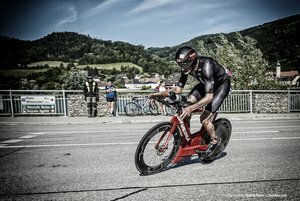 The 2018 Ironman race season was unquestionably SRM sponsored triathlete, Michi Weiss’ career best so far. A career which has included representing Austria at the 2004 Athens Olympics in mountain biking, winning the Xterra Triathlon World Championship in 2011, and, at current count, being a 7X Ironman and 4X IM 70.3 champion. Yet, 2018 marked the pinnacle thus far. 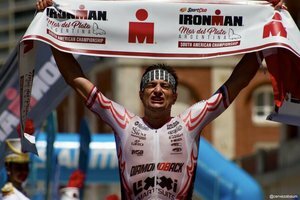 On Sunday 2nd December 2018, SRM sponsored professional triathlete, Michi Weiss dominated the field in Argentina to take his sixth win of the season, and eleventh Ironman branded race (7X Ironman, 4X 70.3) of his stellar career. 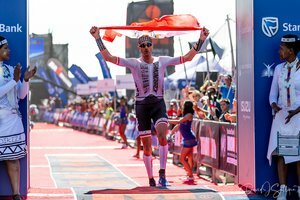 This victory marked the end of what was unquestionably his best ever race season, which included 9 podiums in 12 races and allows him to take a well-earned break in the knowledge that he has already qualified for both the Ironman and 70.3 World Championships in 2019. That’s a wrap folks – Well done Champ! In this article I want to look at what the SRM race file can tell us about how Michi stamped his authority on the field. I hope you find it interesting. 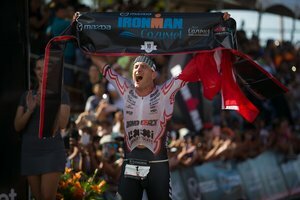 SRM sponsored professional triathlete, Michi Weiss, powered to another stunning victory, his fifth this year, at Ironman Cozumel on Sunday 18thNovember 2018. 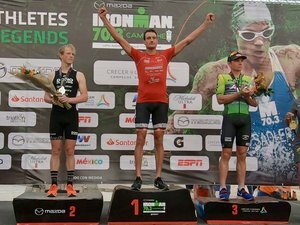 The beautiful Mexican island of Cozumel has become a race destination very close to Michi’s heart as he has now won three Ironman titles and one 70.3 title at this venue, making him an overall 6x Ironman and 4x Ironman 70.3 Champion.